Here is another for the Halloween series. 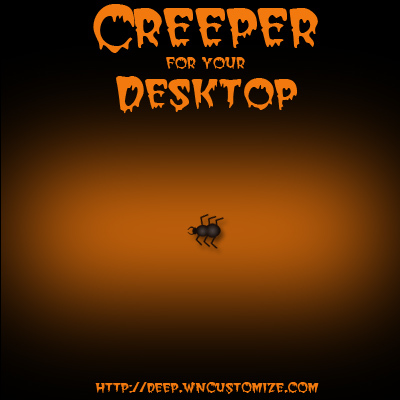 This is an animated "creeper" that will crawl across your desktop. Credit goes to Frogboy for the script. kinda cool there Island Dog. got it crawling around now. Cool - it will scare my wife - heh heh! I'll get you for this!!!!!! !